Seekers and finders: Karl Ove Knausgaard's "My Saga"
Carrie, I’ve had The Cold too so I send total empathy your way. I ran this morning for the first time in a week (because I am a wimp). 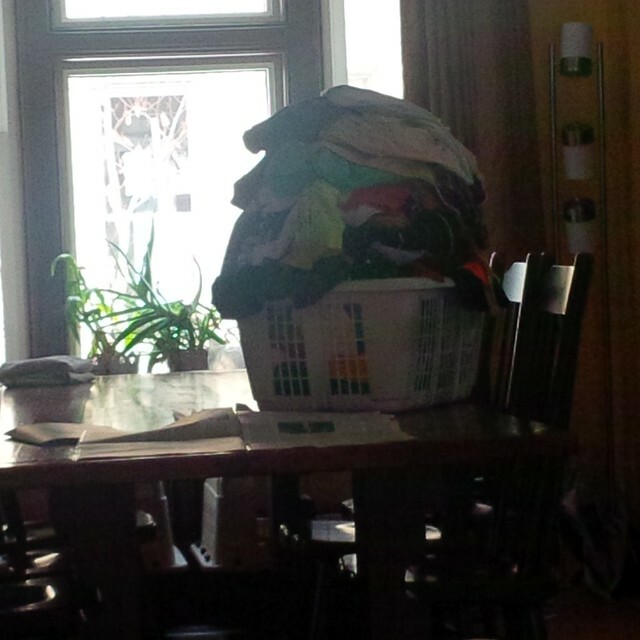 Our kids did their own laundry from about age 4. No idea if they ever folded it. It was not from great parenting skills but pure laziness on our part. Surprise, surprise, no one was inspired by the over-piled laundry basket on the table. Yesterday, finally, Kevin folded the laundry in that basket, and made the kids deliver items to their own drawers/rooms/who knows where. I found some things on the stairs. This morning, I carried up the second overflowing basket, so it’s almost like yesterday never happened. So happy about the Jean Vanier award. I listened to the whole Ideas program a few months ago while cooking dinner, over a week, and I left feeling inspired about the possiblities of compassion in the middle of ordinary life to change the world. Feel better!